Benefits of the Wyoming LLC Many attorneys, CPAs and financial advisors recommend Family Limited Partnerships and Limited Liability Companies to their clients for a variety of estate planning reasons. Although FLPs and LLCs both provide really good asset protection and estate planing benefits, we like LLCs over FLPs because they are so much easier to form and administer. Our clients also like the simplicity of the LLC. Using LLC terminology, the owners of an LLC are known as members. Asset Protection: It is difficult for a member’s creditor to reach the assets of the LLC. Under Wyoming law, the creditor of a member can only reach distributions made to the member, but the creditor cannot force the LLC to make such distributions. Valuation Adjustments: Although we never form an LLC solely to avoid estate taxes, a by-product of forming an LLC is that the value of the membership interest is usually less than the value of the assets owned by the LLC. Why Wyoming? Wyoming is tax friendly to individuals and business entities. Wyoming has no inheritance tax or gift tax. They have no state income tax, inventory tax, use tax, or intangibles tax. Nor do they have a Franchise and Excise tax, meaning that the members of a Wyoming LLC will only be subject to federal income taxation on the income realized by the company each year, unless a member (owner) lives in a state where there is a state income tax, in which case the income realized by that member may be taxed by his or her state of domicile. In 1977, Wyoming was the first state to enact legislation codifying the Limited Liability Company. They became the first and only state to enact legislation codifying the LLC, which allows greater flexibility and valuation adjustments of assets for estate planning purposes. The Wyoming LLC is a known quantity, whereas other planning strategies that provide similar benefits, such as off-shore asset protection trusts, possess certain inherent levels of risk due to the fact that the off-shore entity, for example, would be subject to the laws of a foreign jurisdiction. The Wyoming LLC may be coupled with many other tried-and-tested estate planning strategies to enhance the long term benefits to a family. Residents of any state can establish a Wyoming LLC. You merely have to file the appropriate documents and appoint a Registered Agent to represent your LLC in the state of Wyoming. The Registered Agent may be any individual who resides in Wyoming, or it may be a company with an office in Wyoming. 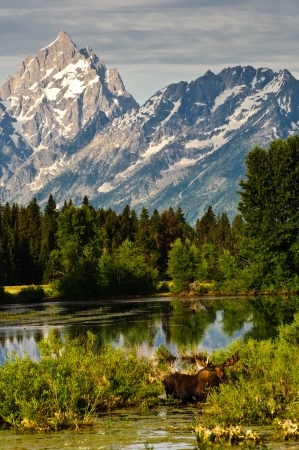 Teton Agents can serve as a Virtual Office for your Wyoming LLCs. Wyoming allows total privacy and anonymity so the names and addresses of the members and managers of the LLC do not appear in the public records of Wyoming. S-Corp Stock can be protected in a Single-Member LLC. Only one other state, Nevada, has a statute that provides this protection.